Large-scale adoption and the appeal of chatbots across industries are impossible to deny. But it may come as a surprise to many – that the insurance industry, historically perceived as a laggard in technology adoption vis-à-vis their peers, today outsmarts others when it comes to investing in Artificial Intelligence and Conversational Commerce. According to the renowned GTS 2017 study, on an average an insurance enterprise spends USD $124 million in Artificial Intelligence powered technology (For multiple use cases) over the years, which is USD 54 million more than the average by their peers. With the help of smart bots, insurance enterprises are able to explain complex plans and terms to their customers, drive engagement and customer acquisition, improve customer service and most importantly the distribution process, resulting overall in driving profits. 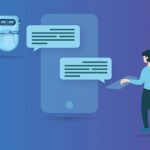 With the potential to reduce the paperwork and unnecessary steps involved in the entire insurance lifecycle, chatbots have made inroads in many insurance enterprises of different scale. Here are the ways some of the Insurance companies are transforming the way they do their business and benefited immensely. Available inside the GEICO’s mobile app, Kate answers users’ insurance related questions via text OR voice control. Users can also ask Kate about their balance in auto insurance, renewal dates, access their documents and set reminders. 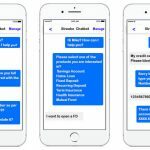 One of India’s leading Life Insurance providers, HDFC Life launched a conversational bot on their website. With an aim to substitute their financial advisors, this chatbot engages users in a minute-long quiz to provide a tailormade advice regarding tax planning, retirement solutions and health. Targeting only the small and medium enterprises, California based NEXT insurance launched a chatbot on FB messenger with tailored attributes using which these enterprises can get quotes and buy insurance. Touted as the first on-demand insurance provider for gadgets, home appliances, sports and musical instruments etc. Trov – has integrated a smart bot in their app that handles general customer queries and processes claims. Leveraging the artificial intelligence in true sense, Trov asks customers about the incident OR accident, analyzes them before accepting the claim, and once accepted, processes the replacement, repair OR reimbursements to the users. Boing, a smart chatbot from Bajaj Allianz General Insurance provides 24/7 assistance to their customers and provides an easy to use interface. 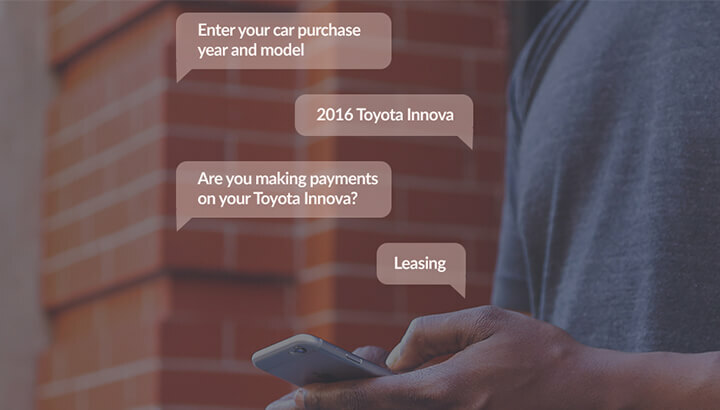 Currently in its initial stage, the chatbot lets its customers, register a motor claim, locate the empaneled garage, their branches and the hospitals too. Through their chatbot MyRA, ICICI Lombard General Insurance is answering customer queries on real-time. As they claim, more than 60,000 customers have benefitted specifically through MyRA in solving their queries and getting the right quotes. MyRA also allows the prospects to compare various Insurance plans and hence make better decisions. Integrated with their call center operations, if this chatbot is unable to address customer queries, transfers the chat to the customer care executive. Many insurance enterprises use chatbots internally to get real-time predictive insights such as; sales incentive details for their advisors, customer propensity, agency performance, market intelligence and benchmarking and customer service analysis. With so much to benefit from, for insurance companies – the question is not ‘Why OR What’ but ‘When’? There are numerous platforms available in market to aid the ‘intelligence (natural language processing)’ and the ‘interface’ – two most important and integral components for the success through chatbots. These help enterprises go market very quickly with multiple use cases, tied through chatbots. In our labs, we have leveraged some of the industry leading NLP engines such as; IBM Watson, Botlibre etc. and our low OR no code automation tooling – DX Accelerator (Powered by IBM DX Manager and IBM Cloud) to help some of the leading financial services companies rolling out these initiatives in short span. Leveraging the ‘code once deploy everywhere philosophy, enterprises can roll-out web, smart apps and chatbot interfaces via single source code. This would not only reduce the overall time-to-market but significantly lower the cost of development and time to manage changes in future! 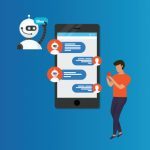 There is no denying that chatbots have benefitted many insurance enterprises in augmenting customer engagement drive growth, and Product Managers are now focusing more on making them more engaging and user friendly by adding custom attributes. IT teams at insurance companies need to rethink their investments and reprioritize their initiatives to combat this huge change in the market and buckle up before they miss the buzz!